Can you can a can with a can that can can the can––without any labels in sight? You probably can, but like canning a can, maybe you shouldn't. Besides, all the confusion distinguishing one product from the others without a proper labeling system is about as demanding as a mental can-can! 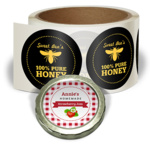 With these canning labels though, not only can you customize your own design with our in-browser design tool, but also order matching labels to go on both the jars and the lids. 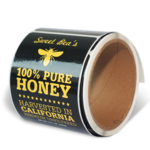 Whether they're for indoor or outdoor use, or need to be weather-, fridge- or kid-proof, your next canning label project's pretty much in the can!